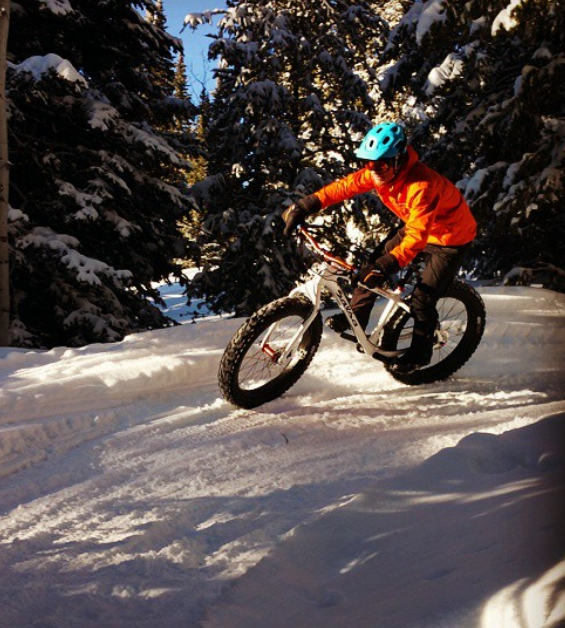 Mountain bike hacks: fat bike tips and tricks for winter fun! 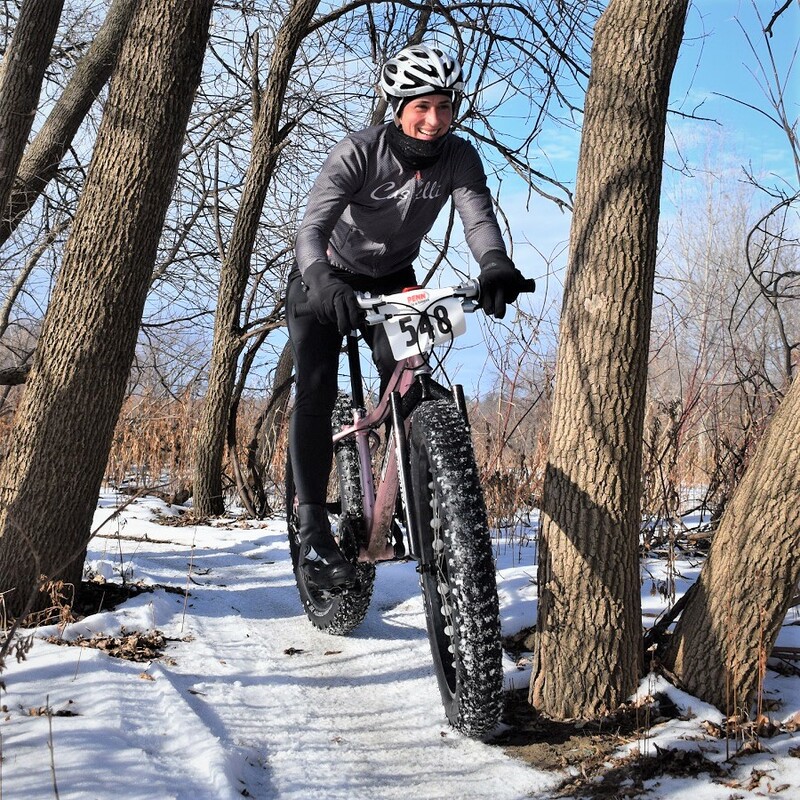 For many of us, riding offroad through the winter is impossible without a fat bike. Our trails get covered with snow in December and don’t see the light of day again until April. While riding a fat bike is a great substitution for riding a mountain bike, it does behave differently than a standard mountain bike. Here are a few quick and easy hacks to riding fat bikes that will get you enjoying the snow in no time. 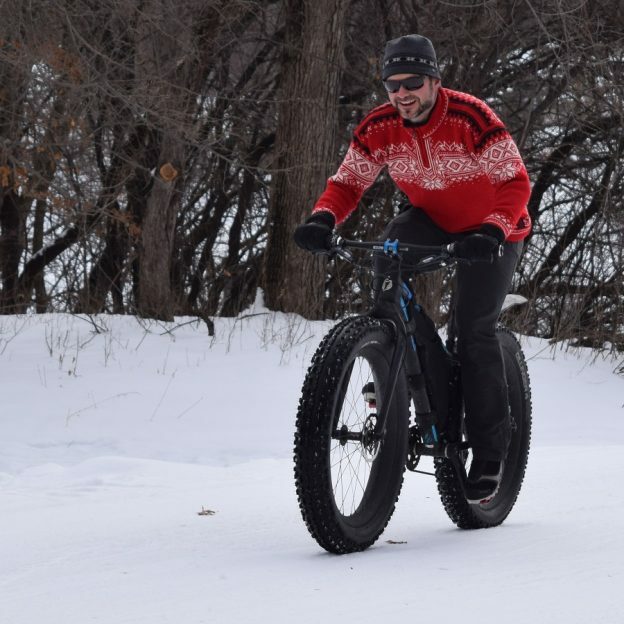 What makes a fat bike special is its ability to ride though deep snow with ease. The reason it is at home in snow is that these tires are between 4” to 5” wide. That width offers traction and flotation on the softest of terrains like snow and sandy ground cover. With wider tires comes a larger overall air volume, meaning that fat bikes have more space for air in their tires than a standard mountain bike. Due to that increased volume, fat bikes use a very different air pressure than your standard mountain bike tire. As an example, in very deep snow it’s not unheard of to run the tires as low as 8 psi. By contrast, a standard mountain bike tire at 8 psi would be completely un-rideable. Proper air pressure for a fat bike tire can be difficult to achieve if you don’t know what you are looking for. Basically, you want the tire to be able to deform easily over terrain, but not be so low that the tire “squirms” or collapses under hard turning efforts. I find it easy to get here by filling the tires until they are slightly less than firm, then lowering the air pressure incrementally over the first few minutes of a ride until the tires really perform well. You will know you let too much air out if the bike bobs up and down with each pedal stroke. Due to the soft nature of snow, turning can be tricky. While turning on a normal mountain bike you move your body weight forward rely on the tires traction, then aggressively force the bike through the turn. Considering snow is soft and will not support that type of maneuver turning requires a slightly more finessed approach. First, leave your weight in a neutral position centered over the bicycle. Next, shift your weight toward the inside of the turn and begin turning the bars slightly toward the turn. The front wheel is more of a tiller than anything else. Use it to direct the angle and direction of the bike, but resist the urge to load it up with weight. As the bike angles toward the turn, focus your weight on the rear wheel. If done properly, you will feel as if the bike is turning from the rear wheel rather than the front and your front tire won’t wash out. Weight back and rear wheel doing most the work. Climbing with limited traction can be difficult as well. Rather than putting your bike in its lowest gear and muscling up the hill you need to be wary of not letting the rear tire slip. If you drop the bike into its lowest gear, chances are the rear tire will have too much torque. Too much torque will cause your tire to rip through the snow and slip. The best thing to do is move your weight backward and pedal with as even a pressure and cadence as possible. Standing and pedaling, or jabbing on the pedals will most likely cause the rear wheel to break free. On snow covered trails that get ridden often it is possible for the trails to get packed in and begin to freeze solid. Once ice is on the trail it becomes very difficult to control the bike with standard rubber tires. For this reason, I recommend adding studs to your tires if your trail riding is susceptible to ice. The biggest tip I can give to fat biking is to keep it fun! Riding a fat bike is a totally different experience than riding a normal Mountain bike, and requires its own skills. Try not to get frustrated because it handles differently than your other off road bikes, just focus on building some new skills. Also, with riding in colder temperatures, enjoy the time you have. While a 4 hour mountain bike ride in the summer is great, you may not be able to stay warm that long through the winter. Beyond the different skills and time, enjoy the unique rewards only Fatbiking can give you. This entry was posted in News and tagged #mtb, #trek, biking in the snow, cake bike, fat bike, fat biking, fatbiking in the snow, how to fatbike, how to fatbikes, IMBA, mountain bike, mountain bike hacks, mountain bikes, mountainbike hacks, Snow bike, winter riding on January 24, 2018 by John Brown.